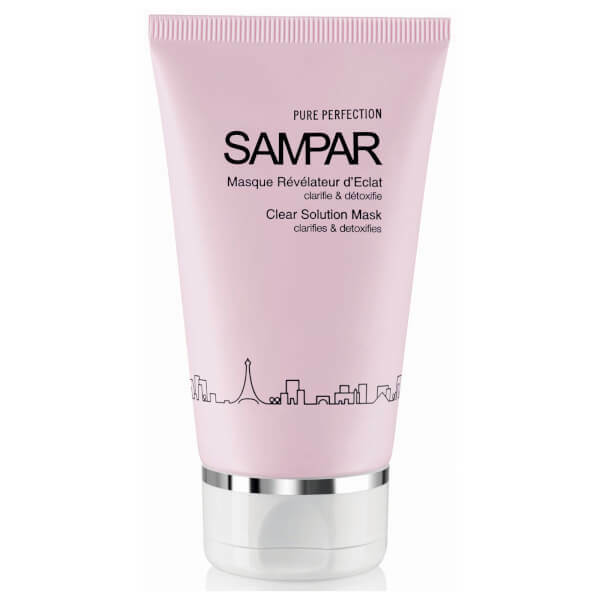 Clarify the complexion with the SAMPAR Clear Solution Mask; a purifying facial treatment that seeks to provide balance for oily to combination skin types. The versatile mask can also be used as a potent spot treatment, simply target the affected area overnight and let the mask benefit skin whilst most receptive to repair. Utilising Kaolin, the face mask effortlessly smoothes onto the visage and seeks to absorb impurities from skin, without stripping it of essential moisture. Working in just ten minutes, the mask is able to reduce the appearance of enlarged pores, whilst eliminating excess oil to deliver a healthy-looking, matte finish. The rich formula boasts an Urban Advance Complex, which combines Shea Butter serum, Mint Endorphin and Probiotic Sugar to act as an antioxidant shield. 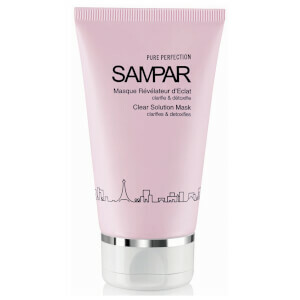 This protects skin from environmental aggressors, as well as strengthening the complexion's natural defences. From first application, the Clear Solution Mask helps to reveal a visibly clear, radiant and shine-free complexion that is awakened and rejuvenated. Aqua (Water), Kaolin, Prunus Amygdalus Dulcis (Sweet Almond) Oil, Cetearyl Alcohol, Glyceryl Stearate, Ceteareth-20, Tilia Cordata (Linden) Flower Water, Phenoxyethanol, Zinc Pca, Pelargonium Graveolens (Geranium) Oil, Butylene Glycol, Sodium Citrate, Chlorphenesin, Disodium EDTTA, Camphor, Geraniol, Glycerin, Lactitol Xylitol, Linalool, Tocopheryl Acetate, Butyrospermum Parkii (Shea Butter) Seedcake Extract, Pentylene Glycol, Citric Acid, Mentha Piperita (Peppermint) Extract, Potassium Sorbate, Sodium Benzoate.